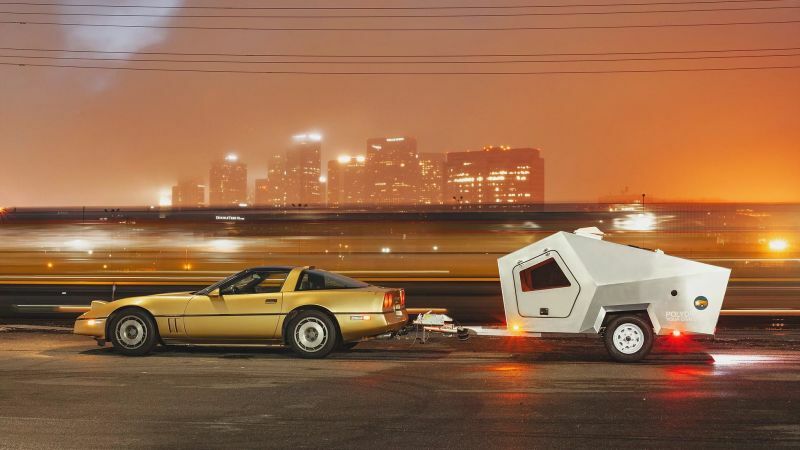 With the rise of tiny house industry, the vintage teardrop camping is also making an unprecedented revival. 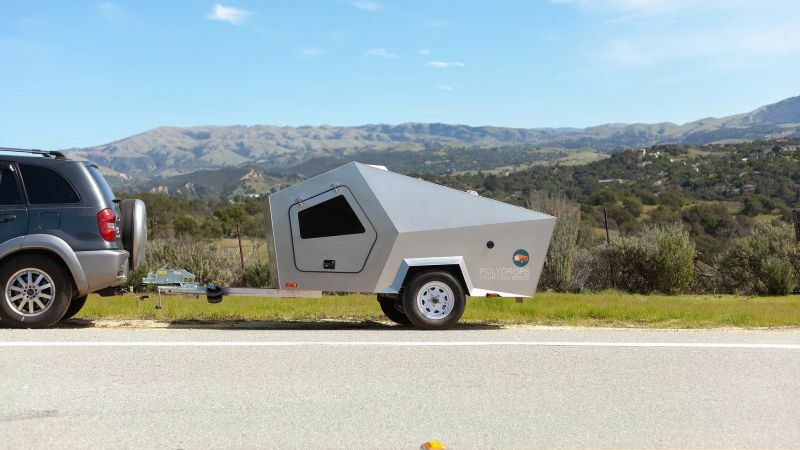 Today, many individual companies are making teardrop trailers, and if you are interested in a unique teardrop trailer for couples, the California-based startup Polydrops has a suitable option for you. 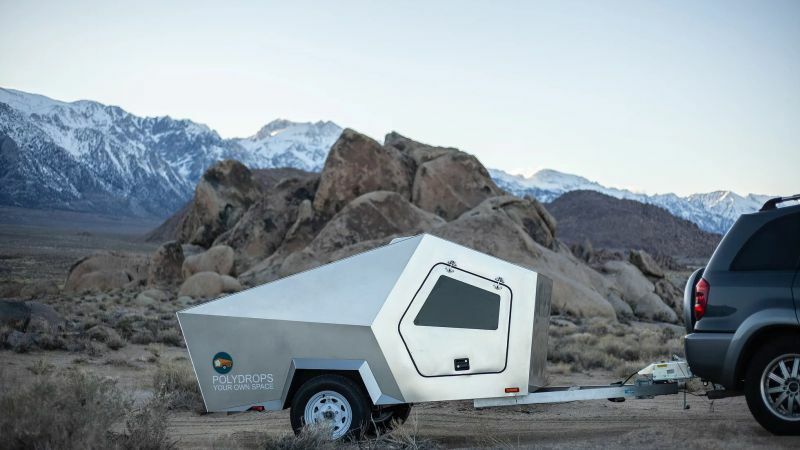 Architectural designer Kyung-Hyun Lew created the Polydrop teardrop trailer in 2017 as his dream travel home. It got famous among people and motivated him to start the business. Playing on with the standard raindrop-like shape of a teardrop, it features a cool angular design. Its exterior skinned in aluminum helps minimize the overall weight and ensure visual attractiveness and durability. 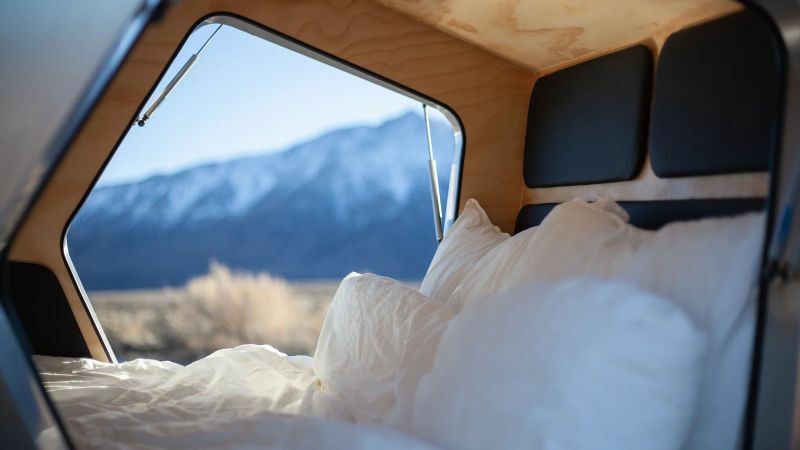 The double-layered structure with thick insulation makes it an all-weather space for two to sleep comfortably. 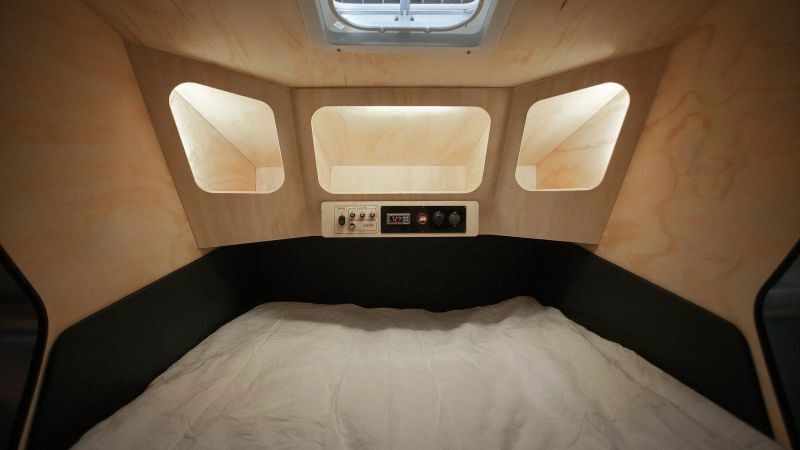 Inspired by a spaceship, the interiors of the Polydrop trailer are decked with black perforated leather trims. 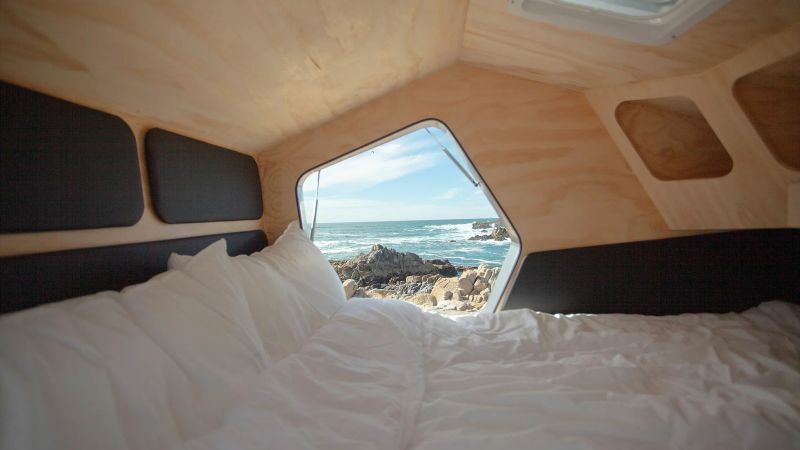 The cabin is made from pine plywood and finished with clear satin Polyurethane. There are shelves with hidden lights, and a control panel for LED lights, heater, and USB charging outlets as well as battery indicators. 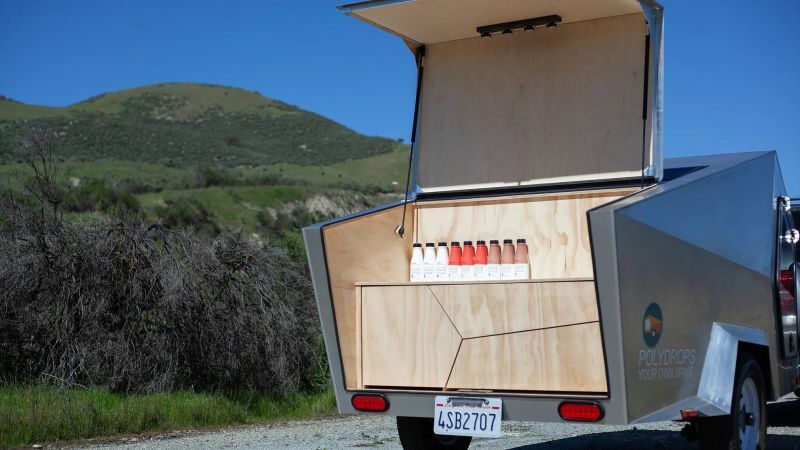 It has a built-in 100W solar system for power usage. 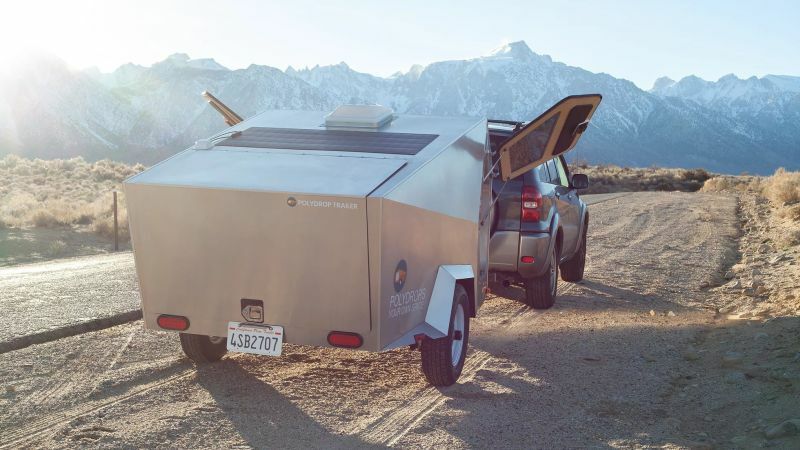 In the back of the Polydrop trailer is a kitchenette with a cabinet for electric components and two drawers for storage, allowing one to cook their own food. 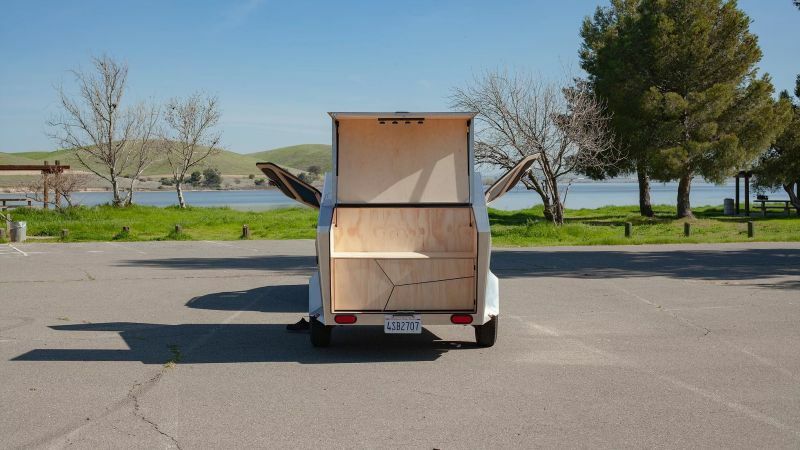 There are Gull-wing doors on both sides with lift supports that help ventilation and connect with the surrounding nature. 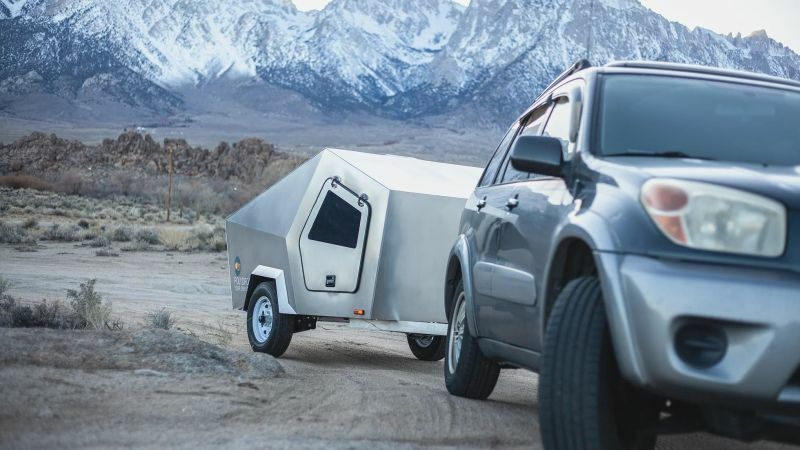 Based on a 4’x8’ trailer bed, the Polydrop trailer requires minimum space on the road, with the widest point of the exterior measuring 5.5’ wide. Designed to be towed to any terrain, it has an independent suspension and hydraulic disc brake system. 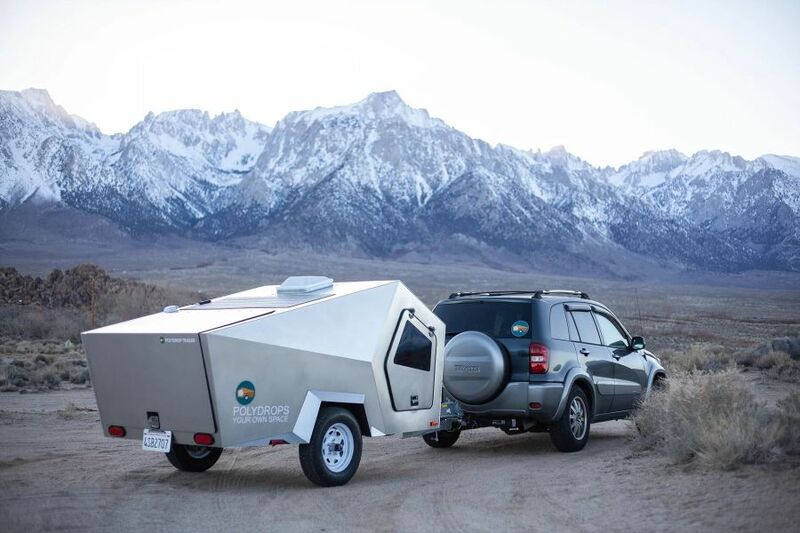 Truly, it is a brilliantly designed teardrop trailer that focuses on aesthetics and towing capabilities. 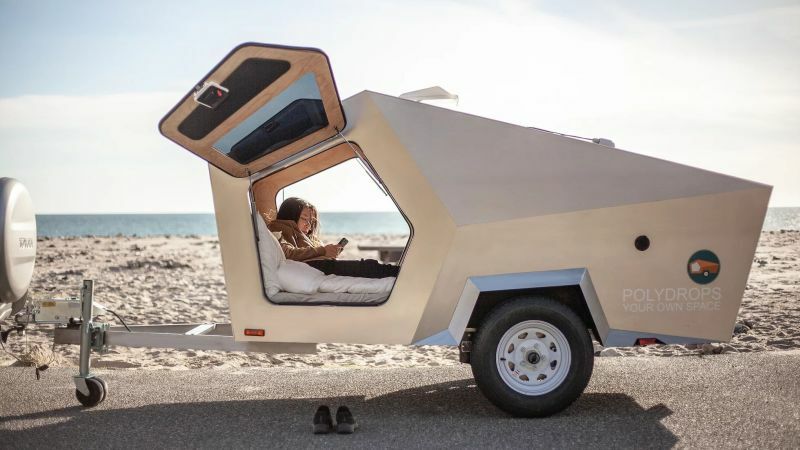 Polydrops Inc. is currently offering 20 of its 2019 limited edition models, priced at US$9,000 each.